Shopping for Elvis Presley Clocks? 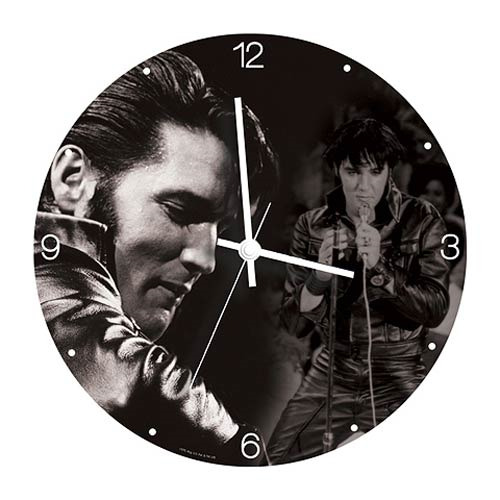 The King knows what time it is, and so will you when you have this breathtaking 13 1/2-inch diameter Elvis Presley 13 1/2-Inch Cordless Wood Wall Clock in your home. With a quartz movement, it requires 1x "AA" battery and arrives in open-face color-box packaging. Think and Learn Balance Blast Off!